A unique concentration of talent, The AllStars Collective comprises over 40 of the world’s top session musicians. Our players have recorded and performed with hundreds of major international artists. Based in London, England, these unsung heroes are at the core of perpetuating excellence across all genres of music. Whatever your taste in music, you already own albums featuring the AllStars’ musicians. The AllStars provide bespoke music services in both live and recorded environments, creating and delivering content for artists, record companies, brands and charities across the globe. Once a client has engaged us, we work with them closely to ensure we get the music exactly right for them. The AllStars were chosen to perform for Prince William and Kate at the Royal Albert Hall to launch the British Olympic team for London 2012. 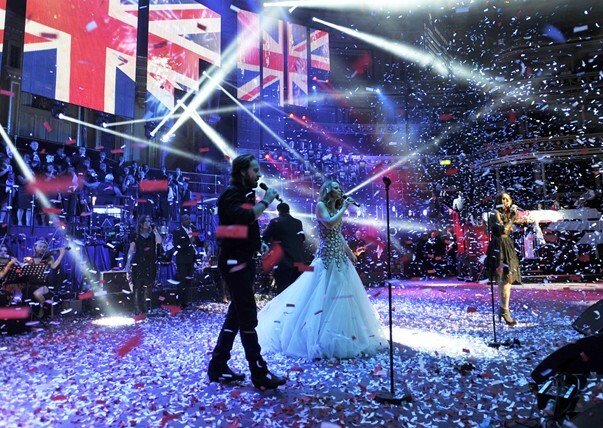 AllStars musicians also featured alongside Sir Tom Jones, Stevie Wonder and Paul McCartney at the Queen’s Diamond Jubilee concert at Buckingham Palace. George Michael, Michael Jackson, Madonna, Massive Attack, Jeff Beck, Chaka Khan, Prince, Amy Winehouse, Mumford & Sons, Eric Clapton, John McGlaughlin, Steve Winwood and Emeli Sandé. Nile Rodgers, Chic, James Morrison, Beverly Knight, Lemar, Ella Henderson, Hamish Stuart, Ronnie Wood, Dr John, Maceo Parker, Jimmy Cliff, James Cotton, KT Tunstall, Jocelyn Brown, Joss Stone, Bonnie Tyler, Melanie C, Jamelia, Tony Hadley, Brian May, Marcella Detroit, Nick Mason, Bananarama, Nerina Pallot, Alfie Boe, Kimberly Walsh, The Noisettes, Babyshambles and The Mystery Jets.